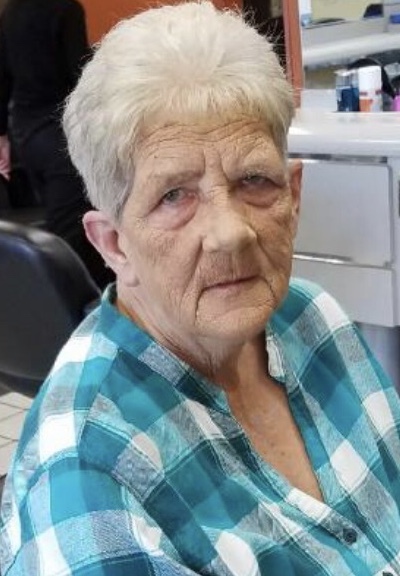 Mrs. Virginia Dale Griffis, 77, of Jacksonville, Florida, passed away on Friday, February 8, 2019 at Shands Jacksonville. Virginia was born in Brunswick, Georgia, the daughter of the late, Wades and Nellie (Moore) Mobley and has lived in Jacksonville for the past 50 years. She was a mother, grand and great grandmother who enjoyed cooking, baking, thrift store shopping and caring for her family. She was preceded in death by her parents, her sisters, Jonelle Carlo and Martha Cox, her sons, Wades Whitley, and Timmy Doggett and her beloved husband of 30 years Cecil Griffis (1995). Funeral services will be conducted at 12:00 on Tuesday, February 12th, 2019 in the chapel of Cedar Bay Funeral Home, 405 New Berlin Rd., Jacksonville, Florida. 32218. With Bro. David Cox officiating. Interment will follow in Evergreen Cemetery. Visitation with the family will be held Tuesday morning, from 10:00 am until 12:00 pm prior to the service, at the funeral home.